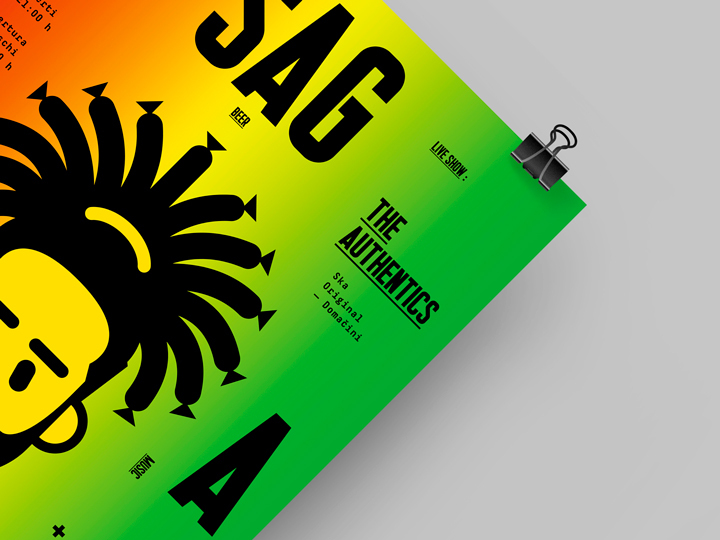 In Italy, a Sagra is a local festival — very often involving grilled food and live music — taking place in suburbs and/or villages, chracterized by a strong rural approach. 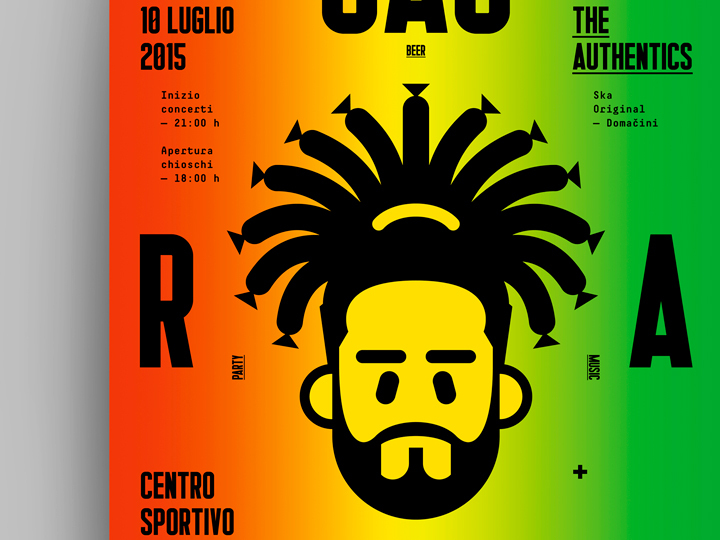 The organizers of the Sagra of Padriciano (a small village near Trieste) decided, in summer 2015, to combine a kinda strange musical offer for such a traditional event: a reggae concert. 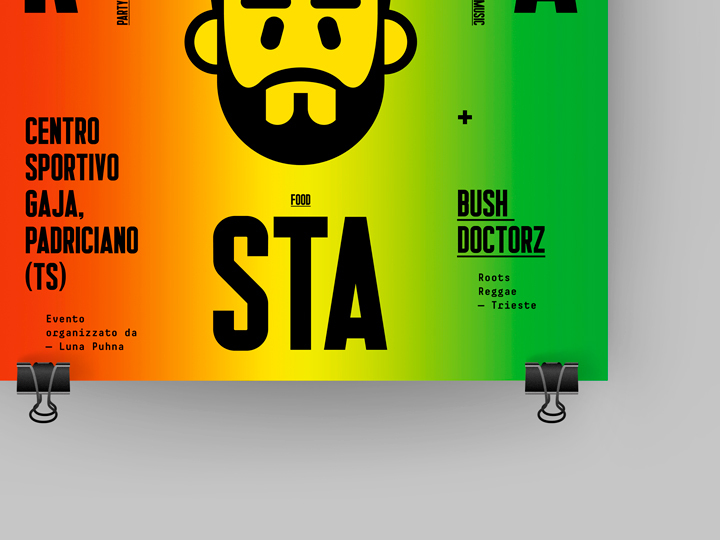 They asked me to create a visual identity for this bizzare mixture of jamaican vibes and meat-dishes festival, trying to find a iconic link between these two opposite worlds. I played graphically on this in a very extreme way, by designing a Rastafarian man that instead of dreadlocks has sausages on his head. 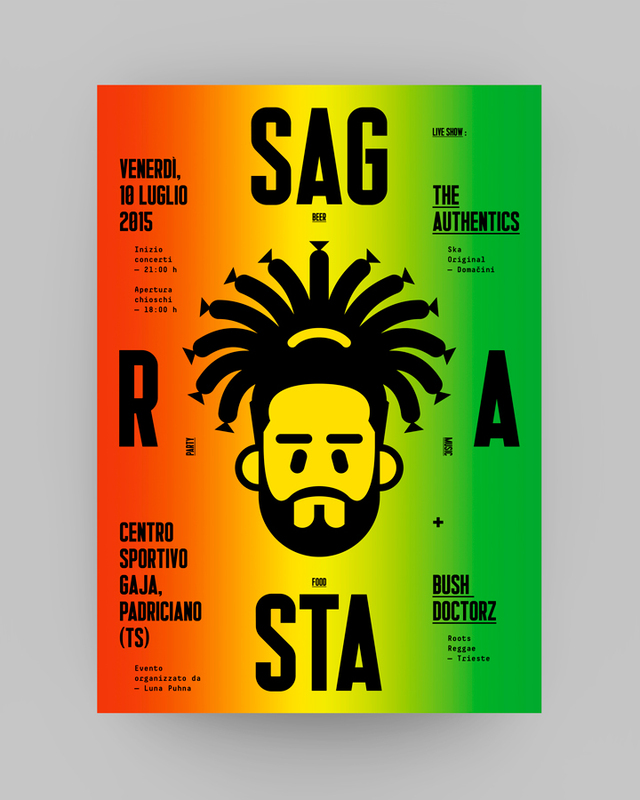 Also the naming of the event plays hard with the two very different cultures: ‘Sagra’ melts with ‘Rasta’ — becoming the sarcastic word ‘Sag-Ra-Sta’. 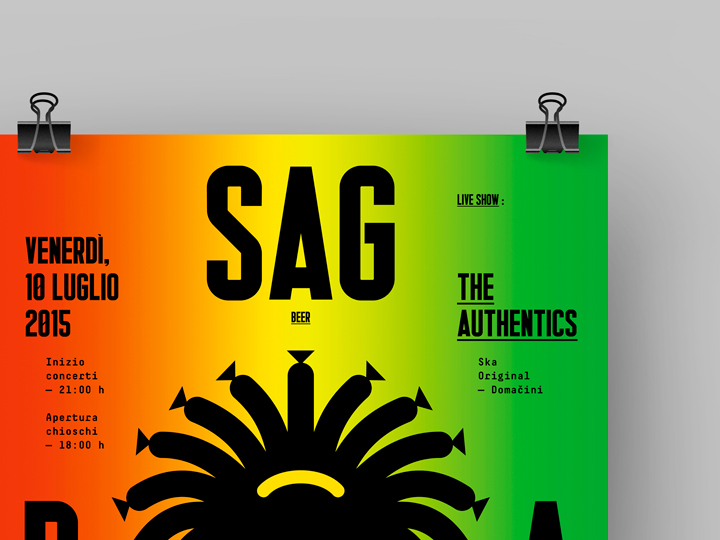 Connections between the Reggae world and the Sagra can be, at the same time, found in the use of colours (the ‘Reggae color palette’ is similar to the colors used in the printing of eye-catching but rough Sagra posters and the typical food-tickets sold there).